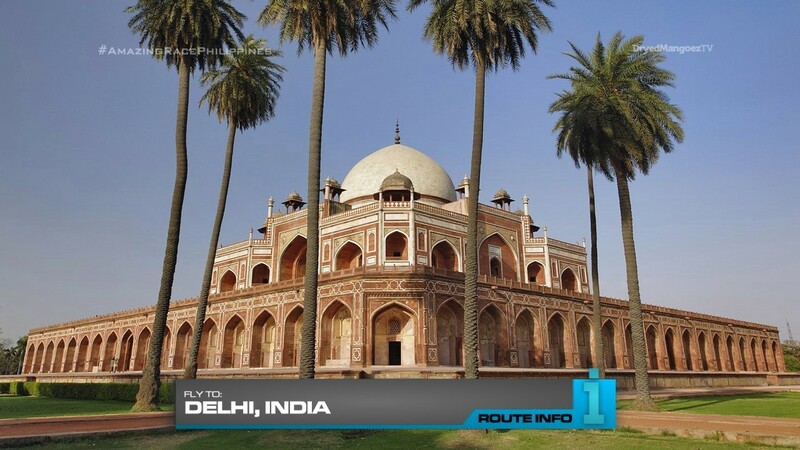 Teams immediately begin the next Leg of the Race by flying to Delhi, India. They will be making their own travel arrangements and will be flying on any flight arriving in the evening. 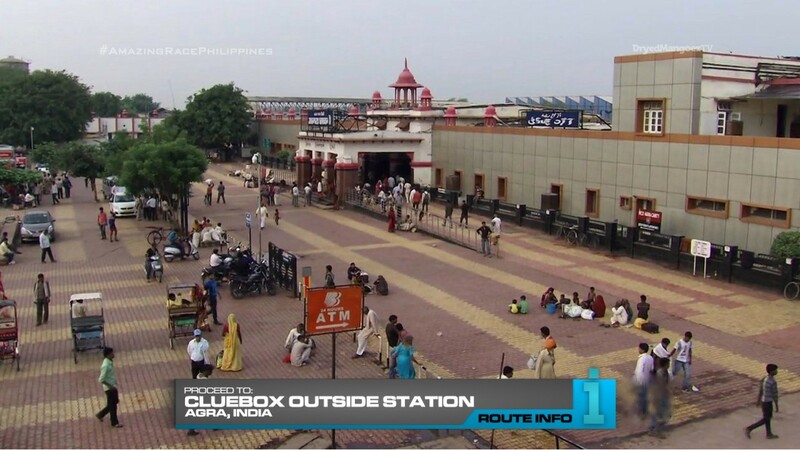 Once in Delhi, they must make their way to the New Delhi Railway Station to find the next cluebox. 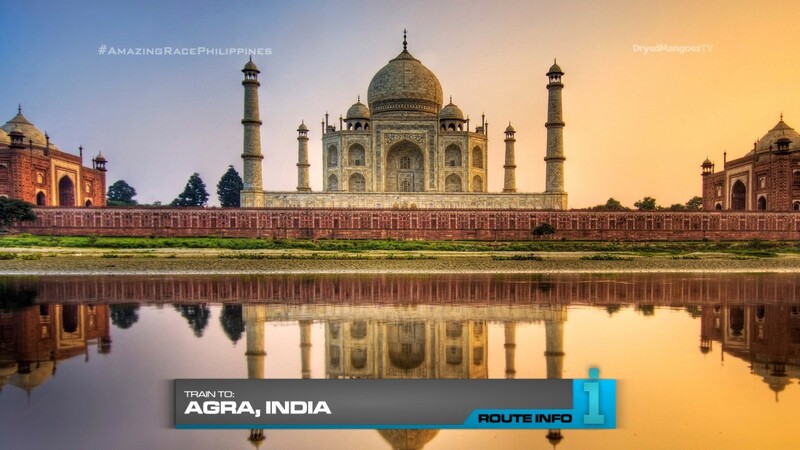 That clue tells teams to catch a 6am train to the city of Agra. The next clue waits outside the train station. 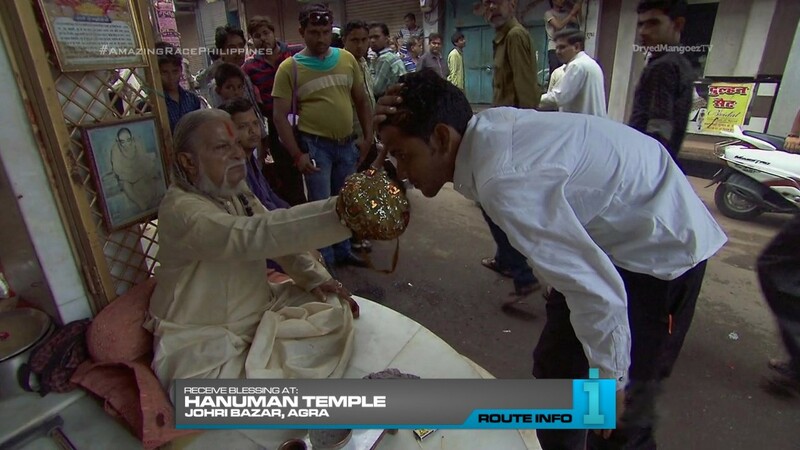 Teams must now proceed to Hanuman Temple at Johri Bazaar where they will receive a blessing and their next clue. 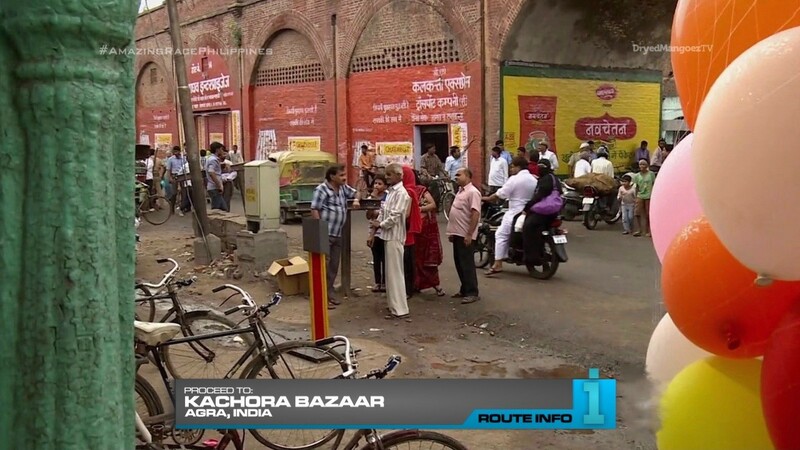 That clue directs teams to search the area around Kachora Bazaar for their next one. And that next clue reveals the Road Block: Who’s ready to blow? 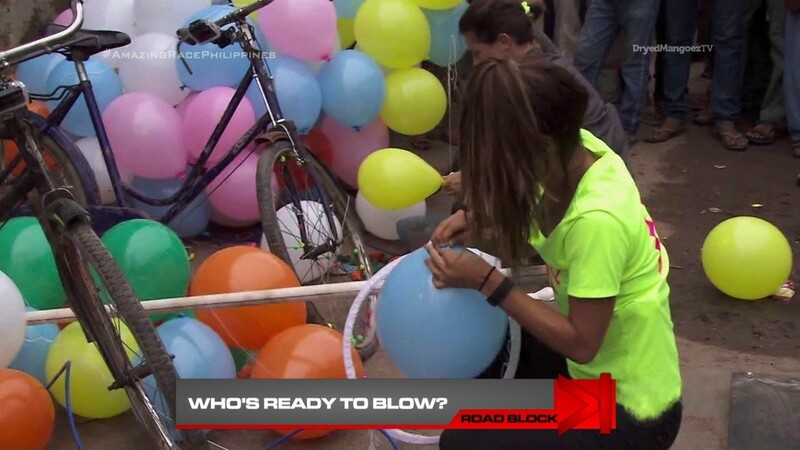 For this Road Block, teams must use a hand pump to inflate enough balloons to fill a net. They must place the net on the back of a bicycle which they will use to ride across the Yamuna Bridge in order to deliver the balloons to a wedding planner. The wedding planner will hand them their next clue and they can ride back to their partner. Teams will then immediately learn about the Detour: High Cans or Sweet Candy. 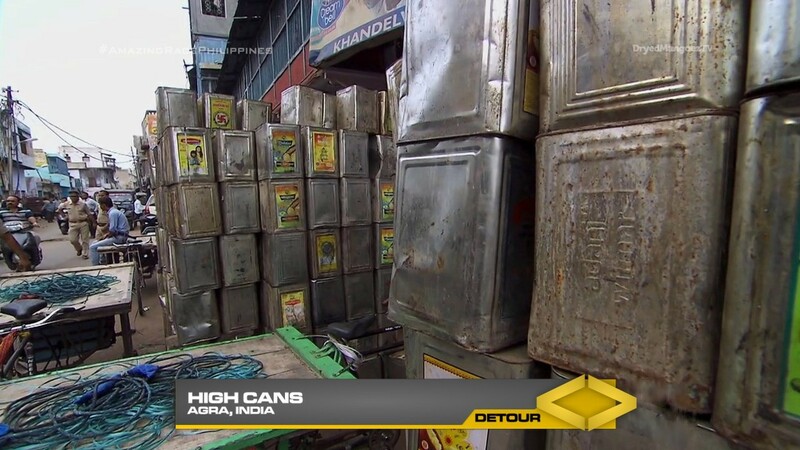 In High Cans, teams must load and secure 120 metal cooking oil cans onto a cargo bicycle and pedal through the streets to deliver them to the New Taj Oil Company. Once they’ve unloaded all the cans, they will receive their next clue. In Sweet Candy, teams must cut pieces of winter melons to make candy called petha. Once they have washed the pieces and have enough to weigh one mann (or 90 lbs), teams must deliver already packaged petha to Pancchi Petha Candy Store to receive their next clue. 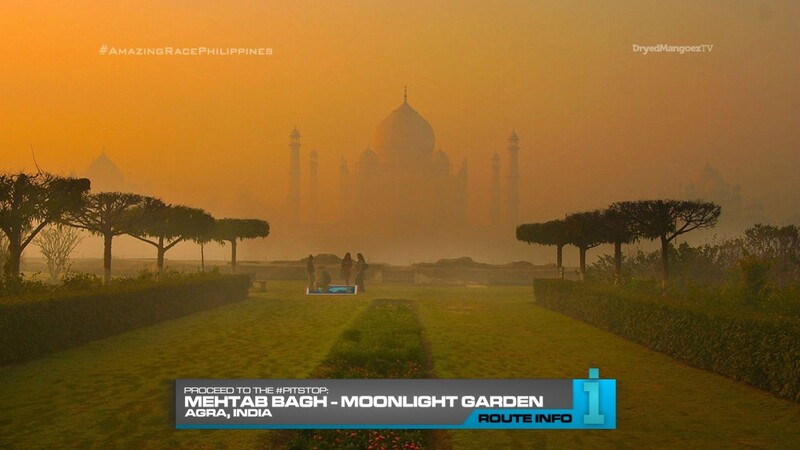 And that final clue directs teams to Mehtab Bagh, also known as Moonlight Garden. So this is a Leg cobbled together from TAR27’s two Agra Legs. Both were very good and enjoyable so it should be great to have it here on TARPH. 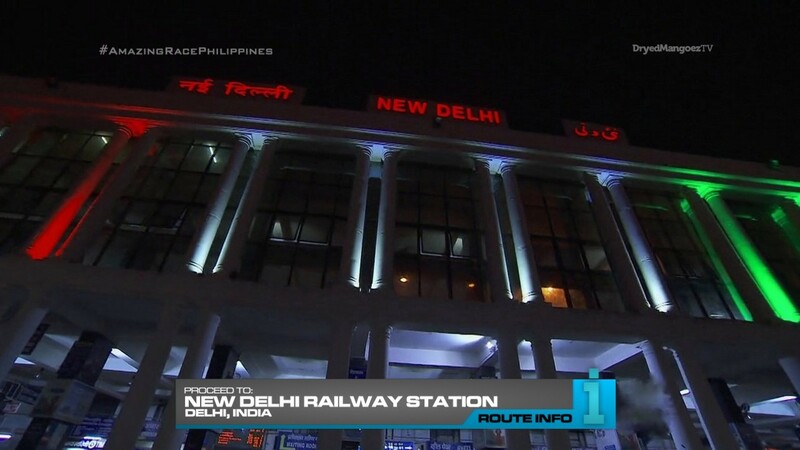 Flying into Delhi from Mumbai is easier and allows teams to get the culture shock moment at the train station and riding the train itself. The blessing at Hanuman Temple is just a simple, necessary Route Marker. The Road Block from the first TAR27 Agra Leg (the laundry) was a great task, but I decided to use the laundry task in Mumbai instead. The 2nd Agra Road Block was pretty good and fun. And it will be even more crazy here with 10 teams running around. Same for the Detour. The wedding Detour from the 2nd Agra Leg was one of the best in recent memory. And it would be amazing if done here with 10 teams. But that might prove a huge logistical nightmare not worth taking, especially for TARPH. And those tasks definitely need to be done at night. 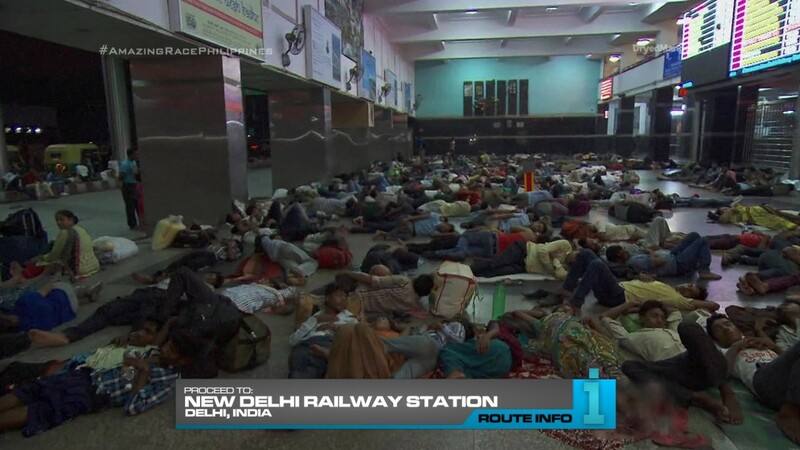 So instead, the Detour from the first Agra Leg is fine here. And of course, a Pit Stop with the Taj Mahal in full view. Should be another solid Indian Leg.